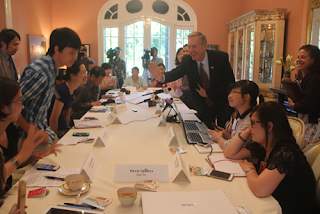 A reader of www.chinhkhiviet.net and also a Paltalk chatter in Australia introduced an interview to American ambassador Ted Osius in his seminar “20 years of normalizing Vietnamese American relations’ (sic). This report was written in Vietnamese published on Dan Tri daily news, a state-owned paper. 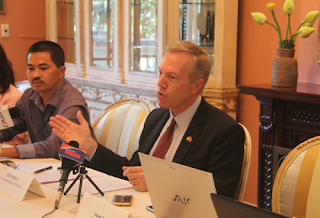 After reading the press’s questions, the state-paid writers and ambassador Ted Osius’ replies then the first impression of I, Chinh Khi Viet was: Generally speaking, Ambassador Ted Osius is a super honest diplomat. He frankly disclosed many things. Perhaps his predecessors in Vietnam before 1975 under the Republic of Vietnam as well as after April 30, 1975 under the so-called “Socialist Republic of Vietnam”, or precisely after 1995 or other American ambassadors, for example American ambassador to Cambodia, were all never been able to express themselves so diplomatically that proves ambassador Osius has a good knowledge about Vietnam. 1- Firstly, we appreciate the heartfelt sentiment of ambassador Osius in which he shared his assessments about Vietnam. Let’s ask the media participants who sat around the long rectangular table in the American embassy if they professionally carry out their duties as competent and ethical members of the Vietnamese media community to serve their Vietnamese citizens, also tax payers who daily and generously feed these "media people" using their very hard-earned money. Because, one simple thing is: all people who work for the media or organizations which are under control of the communist party of Vietnam (CPVN) through its provincial political leadership channels then their main goal is by all means they have to hide up their true role as loyal subordinating workers who work for the Vietnamese communist government and indirectly work for their two super power Russia and China. These days, the world political activities have dramatically and fast changed then the Chinese leadership requires these faithful Vietnamese subordinating cadres be flexible, hide up their true political (communist or pro-communist) identities in order to perform their jobs really well as professional play writers and political stage performers. They cannot be hard-lining communist media as those in the decades of 1950s, 1960s who only threw out "cut-throat" information, songs and articles on papers…to push people and young troops rushing to the front of the battle fields to "fight imperialist America" but the Vietnamese media should be more creative and tactful enough to work and achieve their political goals (for the Communist party) and also perform other fancifully foul plays to trick and bait the naïve audience, citizens of Vietnam and the public opinions around the globe into their dangerous but extra sweet political traps so they can most advantages of them. 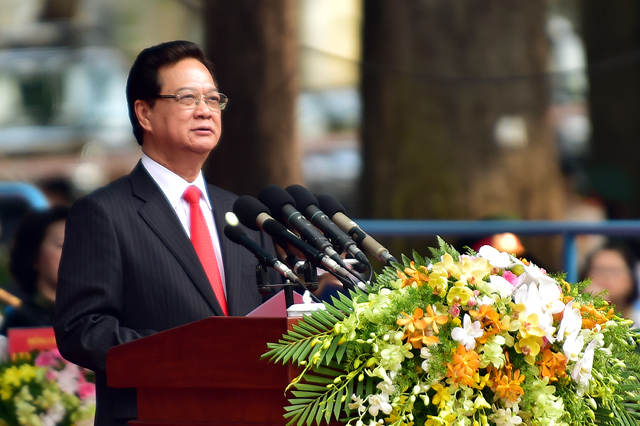 For example: In the ceremony to commemorate the 40th year of the Communist Party of Vietnam (CPVN)’s victory of the unification of Vietnam, Prime Minister Nguyen Tan Dung’s speech was consisted one of these key statements:" Again, we are highly grateful to the socialist republic governments and their people who helped us tremendously to win the Vietnam War, especially our special thanks to our two super power USSR and China" (sic). 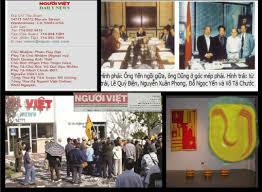 One concrete example was "Nguoi Viet Media Group" under the late founding President Do Ngoc Yen. He presided important meetings with Nguyen Tan Dung, then vice prime minister of the Socialist Republic of Vietnam, and with other communist leaders. This photo below has definitely certified Do Ngoc Yen’s communist supportive political position and at the same time he immediately became a disrespected key media leader" among the Vietnamese political refugees community around the world. Most importantly, this photo has strongly demonstrated his strategically political missions assigned by his superiors to lead the public opinion to become favorable to the Communist Party of Vietnam (CPVN) and its legitimacy and legality. It is not necessary to repeat but ambassador Osius has fully understood the "Nguoi Viet group" has written and published articles, cartoons and pictures…to badly smear the Vietnamese refugees community and their national heritage yellow flag. That is why the Vietnamese community has ceaselessly protested and boycotted Nguoi Viet newspaper and its satellite agencies. But why the Nguoi Viet group has still hanging around with its business and become stronger to file lawsuits to sue people who rejected their "servant media" role to the brutal CPVN. The prominent case was Nguoi Viet vs. Little Saigon lawsuit. Obviously, the Vietnamese refugee community has quickly recognized that the rulings of the courts in the case "Nguoi Viet vs. Little Saigon" were just big and poor jokes. 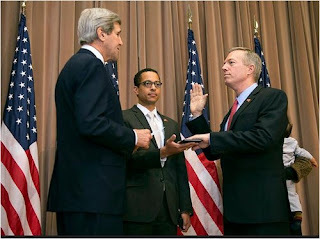 I have strong feelings that when the American government, via ambassador Ted Osius, has recognized the Communist Party of Vietnam (CPVN) and its loyal cadres as "dear friends" then my question is: "Why the US government has also endorsed the free Vietnamese community"? 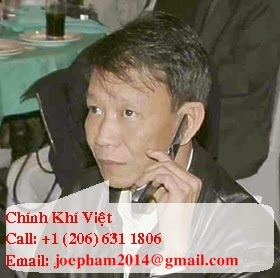 This free Viet community has been ceaselessly condemned and attacked by the Vietnamese communist leadership and badly labeled as the groups who try to overthrow the communist government. I would like to continue with other commentaries which are related to American ambassador Ted Osius to Vietnam and Vietnamese media in American embassy in Hanoi in the “20th Anniversary of Normalizing Diplomatic Relations” between the U.S. and Vietnam. In this important event, ambassador Osius stated: “It is realized that our direct and sincere dialogues about the past issues then we can cooperate in the areas which are not only important to you, our friends, but also crucial to the South East Asia region” (sic). Osius is pretty much a skillful diplomat because he initiated his welcoming term “our friends” to mention about the Vietnamese communist government and the media. To this point, I remember Prime Minister Nguyen Tan Dung’s statement in his speech to mark the 40th year of unification Vietnam (30/4/1975 – 30/4/2015). After brutally condemning Americans, Dung pointed to his brief statement “We definitely carry out our policy to close down the past and look forward to the future” (sic). America intervened into Vietnam to fight the USSR and China and used the Vietnamese communists as the justification and forcibly sent American troops into Vietnam. There was no official agreement or accord when American troops entered Vietnam in 1965. Therefore, the South Vietnamese government was put in a situation that the American troops in Vietnam was considered as a “matter of facts”. Especially, American forces were not authorized to win the war but used their limited forces in some different forms in the “escalating Vietnam war” were the military experiments and also provided good combat and military experience to the communist allies and the communist troops who were equipped with modern rifles and ammunitions which were superior to the troops of American and Vietnamese allies. The Republic of Vietnam’s troops were forced to be in defensive mode while the Communist forces were authorized to infiltrate deep into South Vietnam to attack, destroy and terrorize military bases and also civilians which caused heavy casualties to both free Vietnam’s forces and to the Innocent civil people. It was definitely an unfair war game in which the free South Vietnamese forces were tied down their fighting hands through limited and outdated weapons and monetary assistance from the free allies while the Communist North Vietnam forces were generously provided with abundant of economic and military assistance from the whole Communist blocs. South Vietnam’s forces were targets for international and American media to investigate and untruthfully magnified stories while the communist spies who disguised under their writers or reporters covers then their activities to help the communist side were justified as activities of those who were authentic patriotic to their fatherland Vietnam. For example, Australian news reporter Burchett or French reporter Jean Claude label, nephew in-law of scholar communist-pro Hoang Xuan Han. Jean usually went to the secret military sanctuaries of the Communist forces in South Vietnam to meet with then General Secretary Nguyen Van Linh. On April 30, 1975 after the communists took over Vietnam Linh gave Jean a big mansion in Saigon, Phu Nhuan precinct. My question to ambassador Osius: Was the strategically political goal of America at that time in Vietnam War to force Southern forces to be defeated by the communists and had South Vietnam to be dying gradually. After America achieved their complete military withdrawal from Vietnam after signing the Paris Peace Accord with North Vietnam in 1973 then the whole Southern armed forces and 50 million Vietnamese people were abandoned to fall into the international communist’s control under the iron hands of USSR and China. And the Southern Vietnamese military officers and civil services administrators were all imprisoned in the so-called “Re-education Camps” which were the disguised forms of forced labor without pay and sufficient food in year-round-fiercely-cold weather. If it is the matter of “sincerity to the past issues between America and Vietnam” (sic) then Mr. Ambassador, these are the truths which are not fabricated by the authors of this book, but this awful truths have been recognized by American top diplomats. That are the dirty political coup in Vietnam on November 1st, 1963 in which American government under President John F. Kennedy / ambassador Henry Cabot Lodge who accomplished with An Quango militant group (Unified Buddhist Church of Vietnam to overthrow and inhumanly kill President Ngo Dinah Diem and his brothers Ngo Dinh Nhu, Ngo Dinh Can and their assistants. Recently America honored the armed forces of the Republic of Vietnam and a number of generals who killed himself on April 30, 1975 when Saigon fell down into the Communists’ hands. Among these were super brave and dedicated colonels Ho Ngoc Can, Police Lieutenant Colonel Nguyen Van Long, Navy major Nguy Van Tha scarified themselves with his subordinates in defending duty of Hoang Sa islands. His name has just been named for a major avenue in Houston, Texas (http://www.vietcatholic.net/News/Html/139990.htm). The naming of those military heroes are quite historically justified. Also, please do not forget that the sacrifice of those general of the armed forces of Republic of Vietnam on April 30, 1975 should be included those of the other officers, non-commissioned officers, soldiers, police, military police and other civilians who are under the suppression of the communist government in North Vietnam who did kill themselves because their last hope for the rescue by South Vietnam evaporated. All these people who committed suicide because they have been well educated with the guidelines of President Ngo Dinh Diem: Fatherland, Honor and Responsibility by which President Diem and his assistants carried out since 1954 after Diem took charge of South Vietnam. 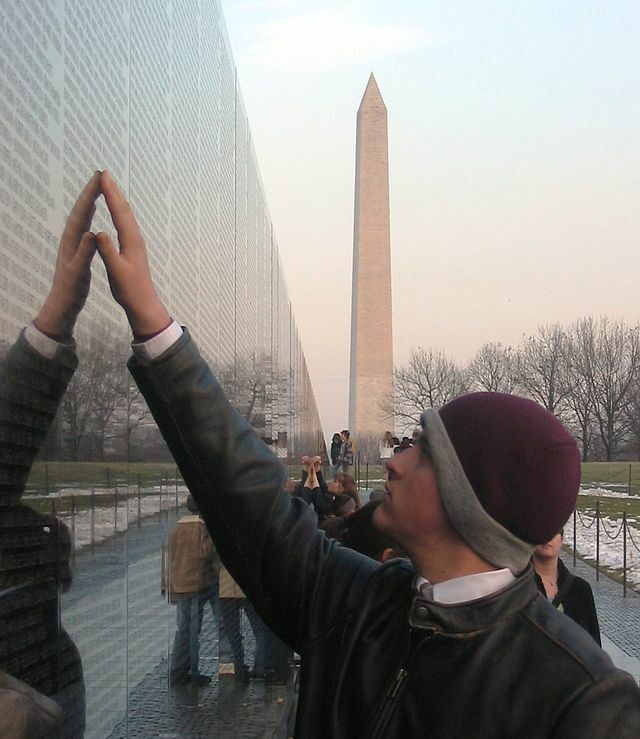 Therefore, the most serious omission is that the American government has not publicly expressed remorse concerning the intervention and responsibility of previous American administrations who had intervene deeply into internal politics of the Republic of Vietnam for decades and their final responsibilities about the deaths of the 3 Ngo’s brothers. Indeed, it is my wish that American government needs to publicly express sorrow and somewhat bear the responsibilities in whole or in part about the horrific deaths of the Ngo’s brothers. By that, the Communist Party of Vietnam (CPVN) and the Vietnamese refugee’s community can reflect themselves on the example of self-sacrifice, dedication, patriotism of President Ngo Dinah Diem to Vietnam fatherland and to his Vietnamese People. President Ngo Dinh Diem’s memorial statute should be erected as soon as possible, side by side with the statute of the deceased soldiers and civil managers to set a guiding torch to lead the way for the patriotic of Vietnam who can follow President Ngo’s outstanding, patriotic leadership. I do not wish to repeat how the international communities have awarded the Vietnamese authorities. We only would like to point out a single story of sadness: In 21st century, when the information technology has been booming out but the suppressed people in Vietnam still have to use oxes and buffaloes to plow the land before planting seeds. While the communists, their kids and grandkids live their extra lavish lives. It is certainly that the Northern Bac Lieu rich handsome men and the Bac Lieu rich men who used to throw away money out of his door also have to bow down and give up to those communist leaders and cannot visualize how those communist leaders can conduct such sinful and irresponsible lives of those communist cadres. Properties of those poorest communist party member are counted up to some hundreds of millions US dollars. And those extra rich party member own properties worth billions of US dollars are very common things in “red leaders” in Vietnamese Communist party. It is very strange that the current rich people in Vietnam have been helping by the people who used to be their own enemy. These exploitation mechanism helps the communist leaders cruelly exploit their own People. These people who learn something from the lessons of the poor black slavery Americans in addition to the bursting of the information age. And the industrial superpowers also jump in Vietnam to exploit labor. These scenarios are always very sad and discouraging. The second Republic of Vietnam was given birth by American pre-arrangement which has worked for and served American global strategic interests via the Vietnamese betraying generals and other political groups in an extremely complicated political environment, chaos and instability in Vietnam. Therefore, American ambassador Ted Osius and my readers should agree with me that the fight to regain the political control in Vietnam now is very complicated and difficult. The first difficulty was the Vietnamese patriotic people who fought against the communists who were the hired mercenaries of China and Russia who also worked for the US and other international financial groups were not informed effectively by the South Vietnam government and they could not identify the real enemies so they accepted the ally who turned out the double-faced friend of their enemies. For a long period of time, the psychological warfare of South Vietnam under the leadership of Lieutenant General Tran Van Trung, the son in law of Tuan Chi (Dao Thi Xuan Yen) who was the girlfriend of the French Envoy and then became the hidden wife of Thich Don Hau. The Vietnamese people did not thoroughly understand the true nature of those communist traitors and their friendly groups since its birth under the sponsorship of Russia. People also did not understand the unique characteristics of those communist radicals and their wording style which use to mislead the public opinion to become favorable to their strict involvement in the war which aimed to overthrow Vietnam free government in Saigon. After South Vietnam’s collapse to the communist power on April 30, 1975, our Vietnamese refugees in the oversea countries have also misused many terms and slogans. When people gathered in big groups of protesters to boycott the communist leaders when they visited the other free countries. Instead of using the word “protest” (communist delegation) or “boycott” (communist leader Phan Van Khai and his delegation) the protesters in the crowd used the word “hello, welcome” (Dàn chào (sic)…the communist delegation). The unclear wording has created confusion to Vietnamese people inside Vietnam who may misunderstand that Communist Prime Minister was welcomed in other countries. 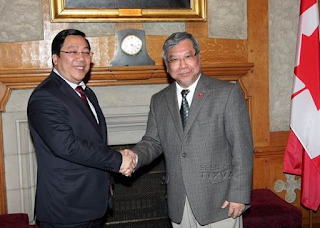 It is simple that the word “welcome, “dan chao” merely shows the happiness of gathering people to meet with the communist diplomatic delegations. The wording misuse cannot be justified and sometimes those people may be the double faces who work or to support the brutal communist government. Also, those people proclaim themselves they boycott the communist’s daily talking terms and vocabularies. In fact, these terms are used daily in Vietnam by all walk of lives. If those popular conversational language is not accepted by the “freedom fighters” outside Vietnam then how can they disseminate information and communicate well and easy to understand to Vietnamese people inside Vietnam. These suppressed people in Vietnam have been blocked with updated information with outside world in many ways by government’s media census. If the language of propaganda is still a major barrier, then how can the misleading information checkpoints inside Vietnam can be destroyed to awake the Vietnamese oppressed people. There are some other arguments that the fighters should demonstrate themselves be more polite and “more cultural, intellectual” to the communists. In fact, before 1945 with the Communist Autumn Revolution in Vietnam in August, the communist party launched a bloody slogan “The Intellects, the Rich, the Landlords and the Influence must be rooted out totally”. But the reality was these 4 classes of people have helped the communist leaders to create influence and properties for them. So, the slogan “…Root out” slogan has been changed to “Re-educate to transform these 4 classes of people to become Red Slaves” to work for a more important policy of transforming all Vietnamese people inside and outside Vietnam to become… Communist Chinese and Chinese’s subordinates. It is easy to recognize those faces and statements of those so-called intellectuals who were re-educated to become “red slaves”. These people have been instructed to play their roles of fake political opponents, cheating democracy activists, make-to-believe civil society, and dishonest independent society. These goals are: 1- Organize and unite the Vietnamese inside and outside Vietnam to various groups who support the central communist government and to become loyal, (Communist) law-abiding citizens, 2- Help the western politicians who are representatives of the international groups to play political opponents (to current communist government) to form, in the long run, the opponent political parties which serve the goal of creating an artificially multiple political parties in Vietnam to gain America’s and the world’s recognition and support. Just acknowledging Dung’s statement, public opinion bursts out and throws out comments such as Nguyen Tan Dung, for the first time, dared to go against the “party’ bible and missions” of the “People’s Armed Forces” which must be loyal (slavery) to the Communist Party of Vietnam (CPVN). Those off-subject commentaries have confused and misled the People about the current critically political crisis of Vietnam. The People have been aware of dirty political tricks of the communist leaders via Nguyen Tan Dung’s statement. For 41 years after their national takeover on 30/4/1975 the Vietnamese refugees community have been added up with many other political groups such as Nguoi Viet media group Inc., SBTN, Nguyen Dinh Thang, Viet Tan (Modernized Vietnam), Cu Huy Ha Vu, Dang Chi Hung, Dieu Cay Nguyen Van Hai, Tran Khai Thanh Thuy and self-claimed sub lieutenant Truong Minh Hoa whose self-proclaimed writing skill was the copycat of somebody’s work, to contact with Colonel Jack d’Espanol, Nguyen Ng., Vo Van Ai, Nguyen Xuan Vinh, Ly Dai Nguyen, Tran Phong Vu Phan Nhat Nam, Luu Trung Khao, Chu Tat Tien, Three Bamboo Trees, Hon Viet UK…These people have been questioned about their identities and political positions. They talk firm and loud because they are simply paid to do so. A thing we must care is identifying who gives delicious, fatty “meat and bones” to those people so they can chew and bark out loud to everybody ceaselessly. Some people who consider Nguyen Tan Dung’s speech and statements unique and noticeable clearly do not understand what Dung continued his writing after that statement. It is obviously he further explained the viewpoints and political strategies of all other Viet communists, specifically the Communist Party of Vietnam’s firmed communist position throughout all of his past leaders and predecessors. It is so clear as such, however even though understanding that Dung has disseminated “(gossiping) information” but with the nature of advocates and subordinates to the communists then they continue to offer distorted commentaries to create smoke screens so people fight fake battles, e.g. in Exodus of the Big Bang Bang owner, the “wait and see...Americans to turn on green or red lights” to post such smoking assessments on their web pages. Some dishonest writers quoted Dung’s statement only with the first phrase “Must be absolutely loyal to our Fatherland and our People” and cut off the very important last phrase “and to our Constitution of the Socialist Republic of Vietnam”. To such informers and messengers, it is definitely they have disclosed their true identities and their mission to work for some dark political powers. When the group of dishonest activists hide the last phrase “be loyal to the Constitution of the Socialist Republic of Vietnam…” to make the whole statement out of context then they have created wrong impression and information to everybody that Nguyen Tan Dung has changed his political viewpoints and position. More ironically, those advocates also blew out news that Nguyen Tan Dung cooperated with Minister of Defense Tran Dai Quang to make a Coup d’Etat to go along with America to escape from China. With such scams, these advocates have purposefully poisoned the free Vietnamese that Prime Minister Nguyen Tan Dung, Tran Dai Quang and Do Ba Ty after they dissolve the Communist Party of Vietnam under the leadership of Nguyen Phu Trong (aka. Trong without amentia illness, “Trong Khong Lu”), those trio leaders above Dung, Quang, Ty will establish the “democratic presidency system” in Vietnam. Vietnamese Armed Forces must be loyal to the Fatherland of the Socialist Republic of Vietnam. Vietnamese Armed Forces must be loyal to the People of the Socialist Republic of Vietnam. Vietnamese Armed Forces must be loyal to the Constitution of the Socialist Republic of Vietnam. 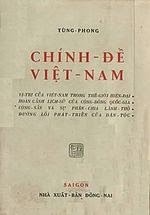 If one is able to understand that as a “three-step logic which are tightly sticked together” in its full context, then his statement is not different than “Vietnamese Armed Forces must be loyal to the Communist Party of Vietnam (CPVN)” because the Fourth article of the Constitution again confirms that the CPVN has always assumed the utmost responsibility to lead Vietnam in every single aspect of the society down to every single citizen. It leads the government and its people which is an entity above the armed forces. As a result, with skillful wording and the assistance of the slavery “intellectuals” Dung is more flexible, wiser and politically tactful then his predecessors to impliedly offer his compromise and accord with their greedy, expansive boss China. When the armed forces must be “loyal to the Fatherland of the Socialist Republic of Vietnam” then what is the Socialist Republic of Vietnam”? So Dung continued “The armed forces must be loyal to the People of the Socialist Republic of Vietnam”. The implication of this phrase must be explained as “the armed forces is only loyal and protective to the People who recognize and accept the current political regime of Vietnam which is a giant prison to jail and force the People to work and pay taxes to them. People are considered as the leaders’ own “human resources and or properties like the black slaves who work for their white landlords in South America in the past. In the same meaning, “Vietnamese armed forces must be loyal to the Constitution of the Socialist Republic of Vietnam”. Let’s question to Nguyen Tan Dung’s supporters if they understand what the Constitution of the Socialist Republic of Vietnam is. How was that Constitution born? To whom does this Constitution truly serve? Be loyal to the Vietnamese Constitution which was self-written and self-approved by the top members of the Communist Party of Vietnam means the armed forces must make that Constitution become a real communist reality. It means the modern, brutal means which are purchased from the international powerful groups and paid by Vietnamese taxpayers’ monies will be used to enforce People’s compliance to that “unique and strange” Constitution. People are considered to be slaves to the Communist Party of Vietnam (CPVN) as Lenin put it:” People are the most valuable resource” because red slaves are the top capital elements who can create other capital elements. Those such “people, top capital elements” are the goals to conquer and possess by expansive China and other international capitalist groups. The world economists mentioned to the scenario that many international investors have withdrawn capital investments out of China because the wages of Chinese workers have been increased and the health and occupational…insurance coverages for Chinese workers have been improved. Therefore, the benefits resulting from cheap labor in China is no longer attractive. And those investors shift their investments to Vietnam with such logic as in Vietnam 60% population is 35 years old or younger, labor cost is extremely low compared to the world standards and to Vietnam’s neighbors’ labor. About 400,000 Vietnamese who hold academic degrees such as Bachelor, Master and Ph.D. are unemployed. Among these intellectuals, many people have to work as bus boys, waiters or drivers of motorcycles to transport people to make their livings or go to the countryside to cultivate land to survive. In addition to those above, a powerful force of police who dedicate to their (suppressing People) profession and are encouraged to use forces to repress political opponents and work along with the street gangsters to control and oppress workers if they complain about their low wages or bad working conditions. The police forces are equipped with the most modern police restraint accessories. Police cars and motor cycles are free gifts from international economic groups. Those big company representatives who come to Vietnam then the “must and first” for them is to meet and take photos with the police commanders. Such major corporations follow that business relations tactics can be pointed out briefly as Boeing, Air Bus, Roll Royce, Sam Sung, Toyota…Therefore, those giant corporates love to invest in Vietnam because the cost of labor and worker insurance are very favorable to them. The worker safety issue has been paid by the tax money of the Vietnamese taxpayers. Any workers’ protests which create property damages or with other reasons then the government use the tax money to compensate the claimants. Example: The workers’ strike in Binh Duong, Vung Ang and Ha Tinh to protest against Chinese invasion are concrete examples. When mentioning about the human rights then it should include the protection of workers’ human, civil and working rights. The main point is: Wages of workers regardless if they are high or low but the safety in working environment for workers are important. But in Vietnam, workers’ wages are dirt cheap (average $US 70 - 150/ month) while the Labor Unions, the Police and the government have strived to keep the workers’ wages lower to attract international investments. Human workers in Vietnam work in harsher and worse conditions than machinery because even machinery has periodic maintenance and retirement. But workers in Vietnam who are not healthy enough to work then they are kicked out the companies mercilessly and are immediately replaced by younger and stronger workers. So I would like to share with my valued readers one concrete scenario in thousands of other scenarios: Samsung Corporation of Korea has been investing in Vietnam to manufacture electronic products which are mainly exported to China because workers’ labor rates in Vietnam are much cheaper compared to those in China. Also, the transportation means by trucks, ships, trains and airplanes have been constructed and revamped significantly to help Samsung and other big companies to build products and transport to sell them to China. Those are the story of “Protect Human Rights” (inside it is the human, civil and working conditions rights of workers) and also the other side of the coin “Determining Socialist Republic of Vietnam is a good place for investment plans due to cheap labor rates”. These 2 sides of a coin truly reflect the controversy of the “human rights” issue. On June 17, 2015, Deputy Minister of the Public Safety Department of Vietnam visited (or came to receive “advices”) Uong Te Chau, representative of Chinese Security Ministry in Ha Noi, capital of Vietnam. Have you ever realized that besides an embassy or a consulate general or a consulate there is such an agency “Representative of Security Ministry” like Vietnam and China as recited in above story? On June 24, 2015, the representative of the General Department of Political Warfare of Vietnam organized welcoming ceremony to Chinese General Tiet Bao Quoc, the commissar of the Institute of Politics in Tay An province so the Chinese commissar can offer guidance and advices to Vietnamese armed forces. These two above incidents should be a main concern which need to be informed to the People of Vietnam. However, have the groups of Independent Journalists, Activists for Human Rights, Group of Civil Society, Vietnam Reform Party, SBTN, Nguoi Viet Inc. and their websites which show off their “Anti-Communists” ever raised up such similar issues concerning to Vietnam national security and sovereignty? So, is it a clear political picture now in Vietnam, dear ladies and gentlemen? Please accept our sincere respect and gratefulness to you and your time to read this article.